The principles of GLP (Good Laboratory Practice) should be applied in laboratories conducting safety and pre-clinical studies. They are describing a set of rules and basic requirements for a quality assurance system for non-clinical and environmental safety studies, specifically focusing on how to plan, to perform and to monitor GLP studies and how to report and to archive resulting data. The GLP principles have been established to assure the quality, validity and reliability of generated test data of chemicals in order to protect human health and environment. 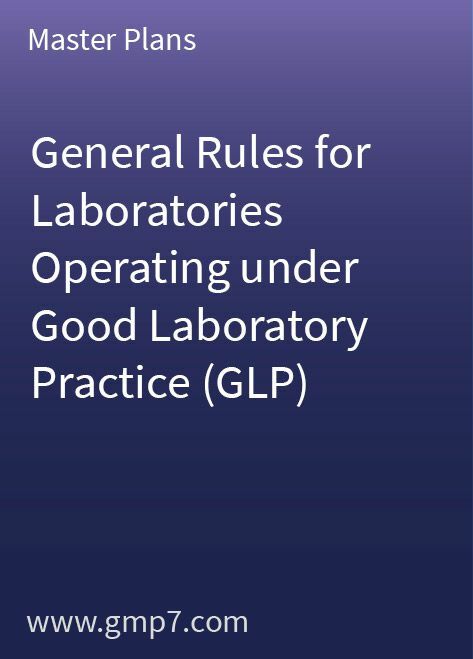 The purpose of General Rules for Laboratories operating under Good Laboratory Practice (GLP) is to define the basic requirements and systems for a GLP Laboratory. The Guideline contains 17 pages that need only a little amount of company-specific modification before it can be adopted to ensure that your operations are in compliant with GLP.